Maybe the most commonly used hardware, screws and bolts have endless applications.  Here at PlumbersStock, we have a wide variety of screws and bolts. We offer our customers trusted names in the tool industry. Whether you need Malco screws or Greenlee bolts, PlumbersStock has the discount hardware for your home improvement project. 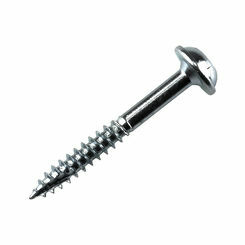 Drywall Screws – The drywall screws available here at PlumbersStock are finished in a Black Phosphate finish. 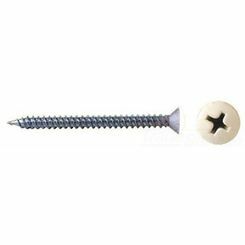 The screw contains deep valleys within the screw threads which allow the screw to attach itself tightly to the sheetrock or drywall. Each drywall screw contains a Phillips head for quick and secure adhesion. 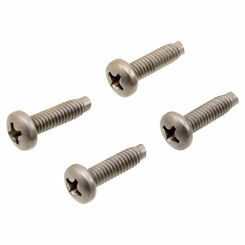 Zip-In Screws (nut driver/Standard) – Fast driving, strong durable screws allow for a strong and secure installation. These can either be fastened with a nut driver which has a tight fit and will not slip. 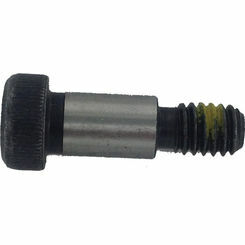 A ¼” nut (hex) driver will work with all sizes of Malco Zip-In Screws. 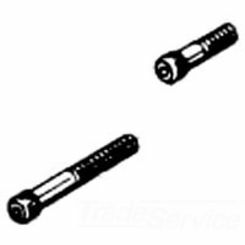 Bit Tip (nut driver) - These screws are also known as Self-tapering because they drill their own hole. They have a “drill bit” tip on the end of the screw that lets the screw fasten easily to sheet metal up to .220 inches thick. 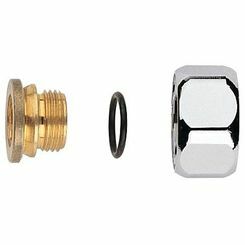 Pan Head – These particular screws have a fine point which allows for a quick, secure installation. The screws use a #2 Square Drive installation, adding extra durability because it (square drive) will not slip. 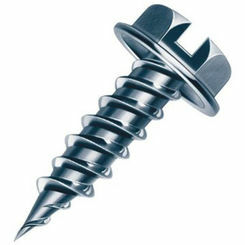 Zip-In Register Screws (Hex/Standard) – Register screws are used to attach the vent register to the wall. They come in either a Phillips head or a hex nut head. The heads on the nails are painted white to match the color of the register. Wood Screws – Wood screws are a better option over nails because of the threads that hold tightly into the wood. These screws have a sharp point where the threads begin that allows you to fasten pieces of food much easier. 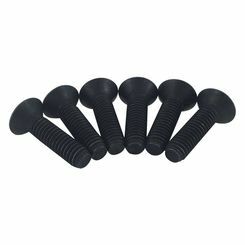 Painted Sheet Metal Screws – PlumbersStock offers bulk bags of sheet metal screws by Malco from 100 to 18000 piece packs. 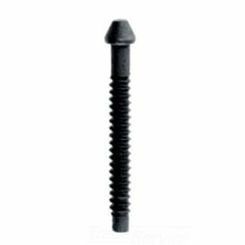 The screws main application purpose is in the trim and gutter industry, but they can also be used in ductwork applications as well. Available colors are: Almond, Cream, Clay, Musket Bronze, Royal Brown and White. 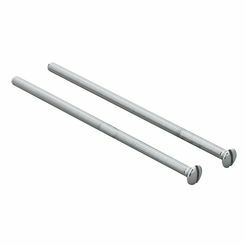 Toggle Bolts – Toggle Bolts have a unique design which allows for a strong ability to fasten two items together. They are also known as “Butterfly Anchors” because the bolts have wings in order to hang something on a hollow wall. 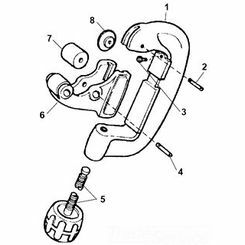 When the bolt is put through the wall, spreading out the weight of the item being hung. 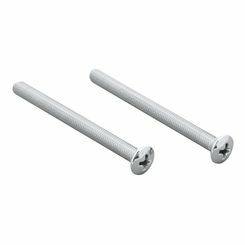 Carriage Bolts – These bolts have a round top, so a nut is necessary in order to tighten down the bolt. 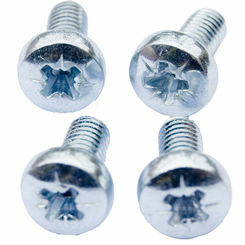 Hex Bolts – These are constructed with a Hex shaped head allowing it to be fastened from the top and not only the nut. 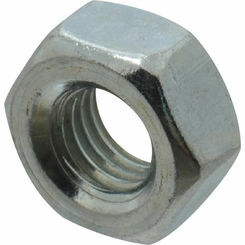 Nuts – are important for use with bolts allowing the bolts to be fastened correctly and tightly. 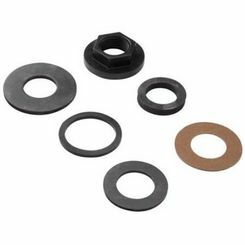 Washers (3/8” flat, 3/8” Lock, ½” flat) - A washer is used to distribute the weight to a screw, bolt or nut. 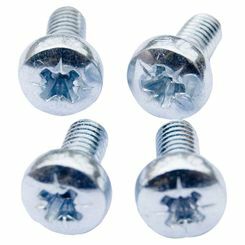 They are also used to protect the bolt from corrosion caused by aluminum surfaces. 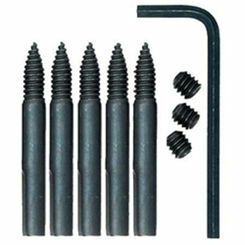 Anchors- These are an essential item for putting a screw (fastener) into a hollow wall. A hollow wall means that you are using a fastener where there is not a wood or metal stud (most commonly in between the studs). In general fasteners need to have a solid construction in order to provide strength and durability. 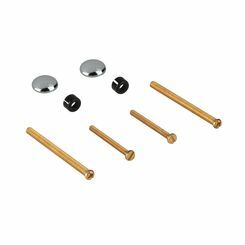 Here at PlumbersStock, our fasteners have a high quality construction and in most case are made of a durable metal as follows. Here at PlumbersStock we are dedicated to both the do-it-yourselfer and the contractor complete the job. Our great selection, professional staff and wholesale prices cannot be beat anywhere on the web. If you have any question, contact us and we can help you find exactly what screws and bolts you need and answer any of your questions.